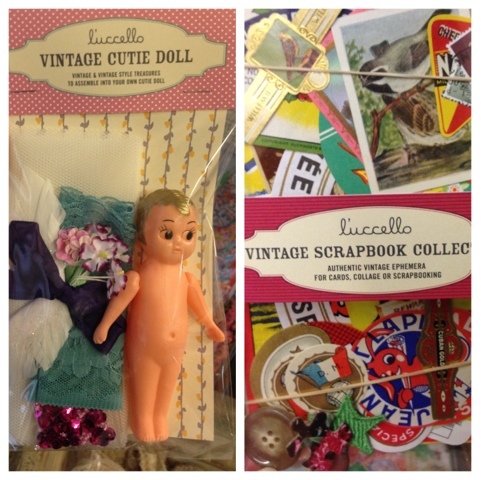 Twiney's Workshop: Shop of the week: L'uccello. 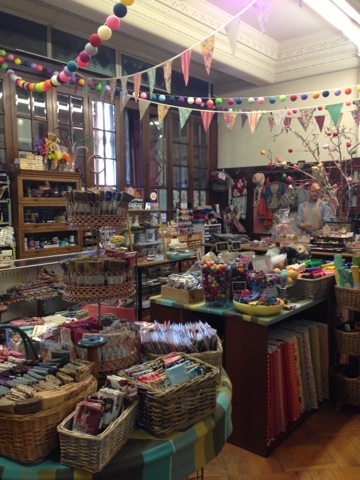 L'uccello is a secret and enchanted hideaway in Melbourne's CBD filled with vintage haberdashery, millinery supplies, accessories, homewares, craft kits and gifts. 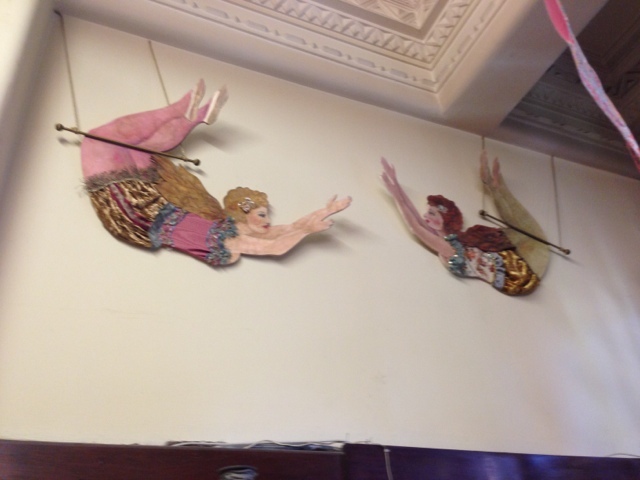 L'uccello is situated in the Nicholas building (built in 1926) in Swanston St, which is home to 100 artists, alternative shops, small galleries and quirky small businesses. 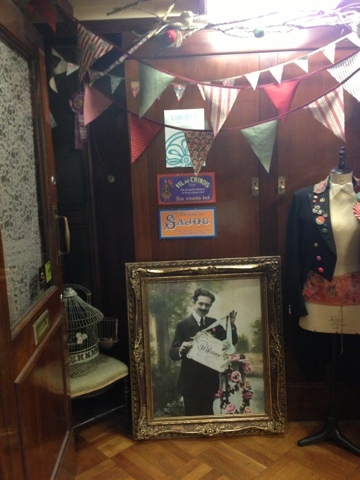 The L'uccello adventure begins by taking the famous lifts filled with photos, pictures, flowers and fake plants up to the second floor. 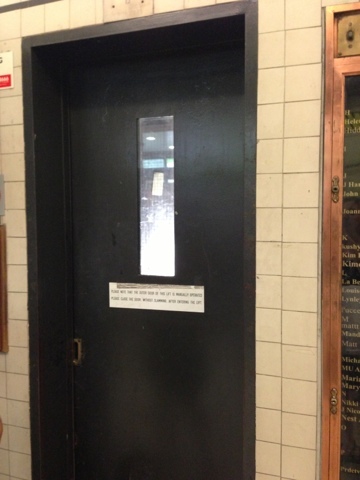 The lifts were subject to much debate and petition last year when the lift attendants (one of whom worked in the same lift for 35 years) were replaced for automatic lifts. They were some of the only lift attendants in Australia and apparently the last in Melbourne. A small part of Melbourne history was taken away last year. Once you arrive on the second floor and open the heavy patch worked door, you feel like Alice who has fallen into wonderland. 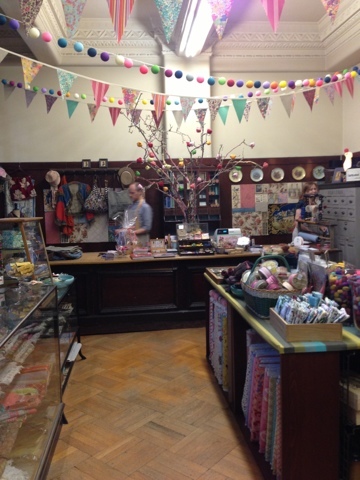 When you peek around the corner, the shop is revealed and you think to yourself, this is magical, it almost twinkles. 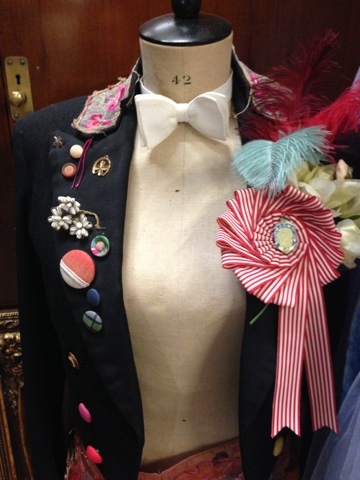 The room that owner Kim runs her shop from overlooks busy Swanston St and from her shop windows was the very spot where the ticket-tape was thrown from when the men returned from war. 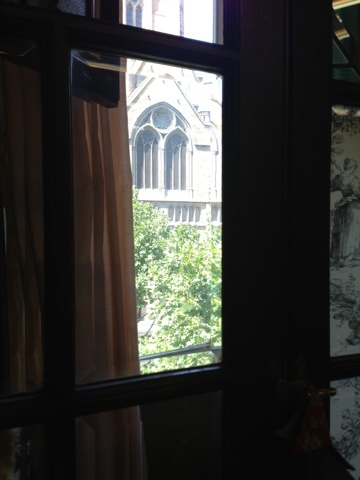 It's soaked in history and the products Kim stocks fits just perfectly with the rich tapestry of the building and room. 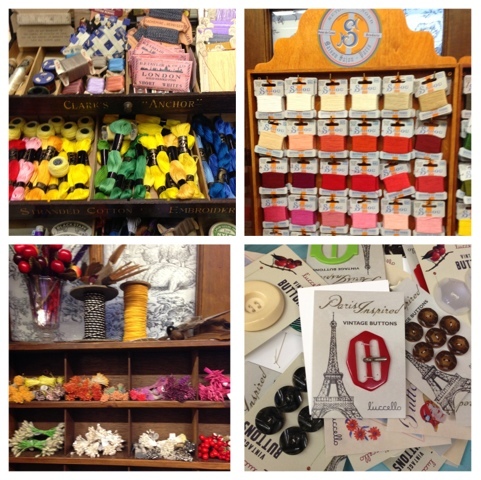 vintage threads and needles, French antique linen and sackcloth, Valdani hand dyed thread, lace, vintage millinery braids, vintage and new threads, French General fabrics by Moda and vintage French Sajou haberdasheries fill the shop. 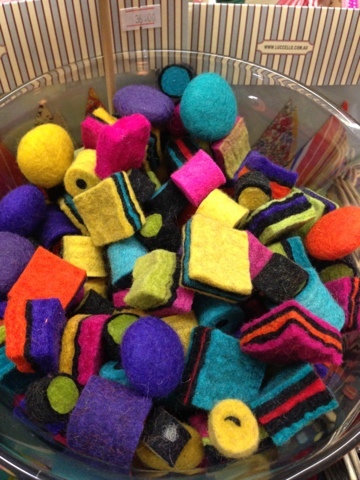 Alongside Kim's beautiful L'uccello branded authentic vintage ephemera craft kits,scented sachets and vintage cutie doll kits is also brightly coloured felt and felt products, like the liquorice allsorts pictured below and stunning colourful scarves, bags and gloves by Sophie Digard. 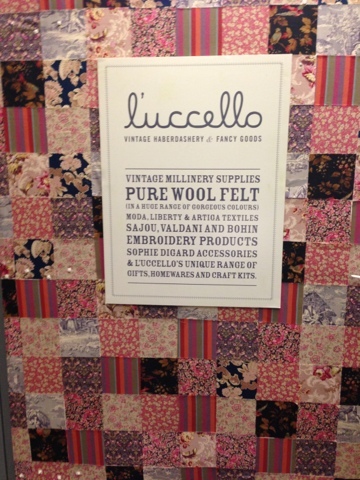 Walking through the shop, you feel you are in another era and should be wearing a hat and gloves and should go home to a lovely mug of English Breakfast tea and spend the afternoon by the fire sewing with all the beautiful supplies you just bought from L'ucello. 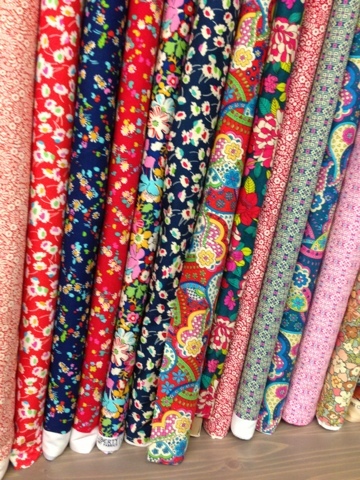 Online store is almost about to open, so watch her blog closely.